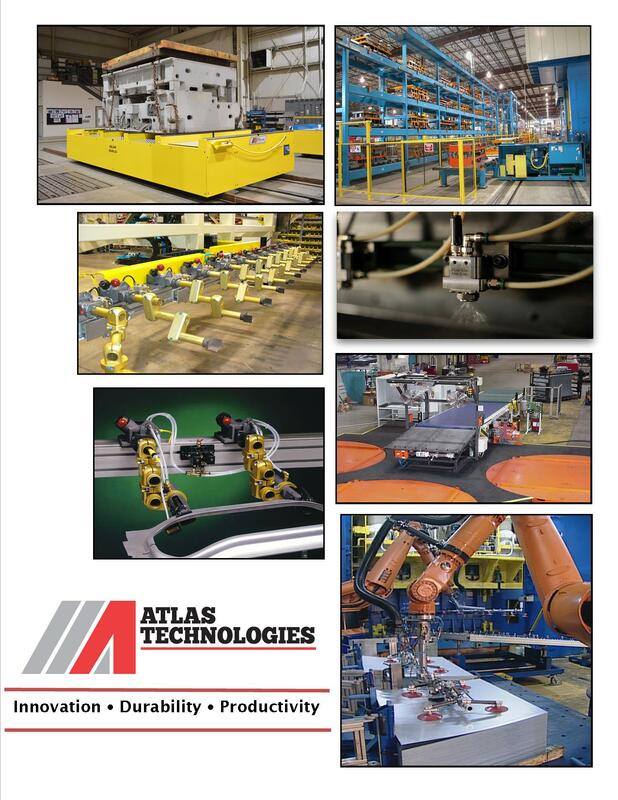 Atlas Technologies Front of Line Destacker Systems are designed to ensure a continuous flow of blank steel or aluminum materials to a press line. Our destack feeders are used to automatically separate, feed and accurately locate individual sheet metal blanks for subsequent loading into a press transfer or multiple press tandem line. Atlas automated blank destack feeders will separate blanks via robots, pick and place shuttles or overhead destack head to mag belts. The blanks are conveyed forward to a centering station for pick up by press feeding equipment. 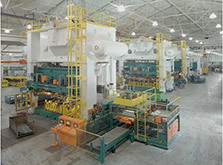 Automated blank destackers ensure a continuous flow of blanks to the press. 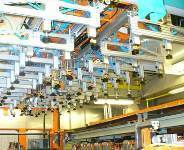 When equipped with a cranesaver conveyor (for queuing stacks), a lift table and a “continuous destacking” carriage, you can achieve nonstop destacking at production rates that range up to 1,320 parts per hour, without a pause in press actuation. 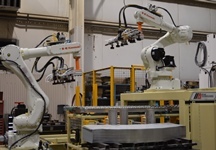 Robotic Front of Line Destacker Systems utilizes two destacking tables equipped with lifts and an optimally positioned robot. Robots typically offer a lower cost, highly flexible solution with the added benefit of a programmable pathway. Both types of Destacker Systems may incorporate the Atlas Cyclone™ Washer and/or the GEN II Oiler for optimum blank cleanliness and lubrication.